The World Boxing Organization (WBO) has announced that it has stripped Floyd Mayweather of its Welterweight world championship. In a statement released today on the WBO’s official website Luis Batista Salas, chairman of the WBO championship committee stated that the sanctioning organization has in accordance with its rules stripped Mayweather of the championship that he won in a unification bout against, then WBO champion Manny Pacquiao on May 2nd. In its statement the WBO said that Mayweather failed to respond to an extension that was given to him to decide whether he was going to relinquish the WBC/WBA Jr. Middleweight world championships that Mayweather currently holds, as WBO rules state that no WBO champion may hold a non-WBO championship in a weight class that is different from the weight class where a fighter holds a WBO world championship. This follows Mayweather’s statement following his victory over Manny Pacquiao that he intended to relinquish all the world titles he currently holds in both the Welterweight and Jr. Middleweight divisions. Mayweather requested and was given an extension by the WBO until July 3rd after it had been announced that the sanctioning organization had sanctioned the recent Timothy Bradley-Jessie Vargas bout as being for the vacated WBO Welterweight world championship. The Bradley-Vargas fight, which took place at the StubHub Center in Carson, California on June 27th was changed from being for a vacated world championship to a fight for interim championship status in the WBO’s Welterweight ratings. It is unclear as of this writing as to what this might mean for Timothy Bradley who scored a twelve round unanimous decision over Vargas. As of this writing, Mayweather still holds the WBC/WBA world championships in both the Welterweight and Jr. Middleweight divisions. As this observer stated last week, if Mayweather were to follow through with what he stated following his victory over Pacquiao and relinquish the world titles he currently holds, a fighter in Bradley’s position could find himself in one of two scenarios. Bradley could be mandated as the WBO’s top contender to face the sanctioning organization’s next highest available contender to determine a new WBO Welterweight world champion. The other and perhaps more likely scenario as this observer stated could be that Bradley having earned interim championship status in the WBO’s Welterweight ratings could simply be named world champion by the sanctioning organization. It is a scenario that is not uncommon in the sport when a fighter is deemed as having interim status in a sanctioning organization’s respective ratings in a weight class for that fighter to be named champion in the event that the current champion either relinquishes his title or is stripped of it by the sanctioning organization in question. 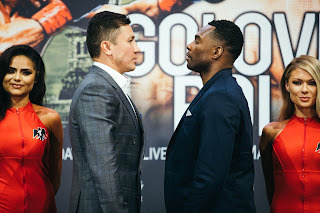 It is also unclear as to what this might mean for both the WBC and WBA Welterweight world championships. As this observer stated last week, Bradley’s situation is one that is not all that unlike the situation that undefeated Welterweight contender Keith Thurman may find himself in the event that Mayweather either relinquishes or is stripped of the WBA version of the Welterweight world championship due to Thurman holding interim/regular champion status in the WBA’s welterweight ratings. Thurman is scheduled to face former WBA Welterweight world champion Luis Collazo on Saturday, July 11th at the USF Sun Dome in Tampa, Florida. Although it is unclear whether the World Boxing Council (WBC) or the World Boxing Association (WBA) will take a similar approach to what the WBO has done, it is logical to assume that the winner of the Thurman-Collazo bout may be recognized as WBA world champion in the near future if Mayweather relinquishes or is stripped of the WBA title. Now that the WBO has vacated its Welterweight world championship it will be interesting to see if the division ends up with three vacated world championships at some point in the near future or if the WBC and WBA will hold bouts for those world titles in the event that Mayweather chooses to relinquish both world championships or is stripped. Stay tuned. To read the WBO’s statement regarding the status of its Welterweight world championship please visit: http://www.wboboxing.com/resolution-to-vacate-wbo-title-of-floyd-mayweather/ . Was KO Loss To Teper A Career Ender For Price? Is The Future For Chavez At 168lbs.? Should Thurman Be Next For Mayweather?